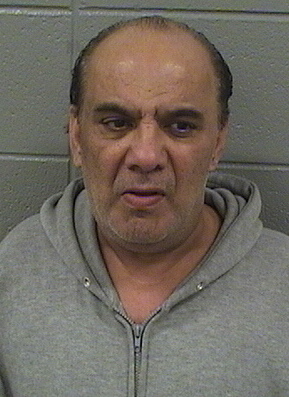 CWB Chicago: Career burglar — sentenced to 371 years in prison since 1991 — now charged with burglary. Again. Career burglar — sentenced to 371 years in prison since 1991 — now charged with burglary. Again. This career burglar, sentenced to a combined 371 years in prison since 1991, was released early from the penitentiary in June. Now, he’s charged with burglary again. Such are the luxuries of being a criminal in Illinois, the land of liberal sentencing practices, seemingly endless lists of sentences being served concurrently, and automatic sentencing discounts. Walter Miller, 61, was arrested at his Irving Park home after a burglary victim identified him as the man who posed as a city government worker to access his home and then steal valuables on Dec. 18th. Chicago police repeatedly warned North Side residents of burglars posing as city contractors or employees to access homes in November and December. Investigators are working to see if Miller is responsible for more of those crimes. For now, Miller is charged with one felony count of burglary by false representation. Judge Stephanie Miller set his bail at $10,000. State records show that Miller was paroled out of the Vienna Correctional Center on June 13th. He had been there since July 2008 when he pleaded guilty to home invasion and five counts of burglary. He was sentenced to six 20-year terms, but the judge allowed the sentences to be served concurrently. Instead of 120 years in prison, he was freed after serving about ten. Just seven years earlier, Miller was sentenced to thirteen terms of 12-1/2 years each for burglary to (again) be served concurrently. So, instead of serving 162.5 years, he was released after serving only six. Back in 1991, Miller was sentenced to five terms of 15 years each for burglaries. Once again, his sentences were served concurrently, so he was only in prison for about eight years instead of 75.